Hi all! It's another cold, snowy Sunday here. So sick of being stuck indoors! Not to mention the sun is lacking :( I love taking my photos with natural sunlight, and there just hasn't been a lot of that to go around! 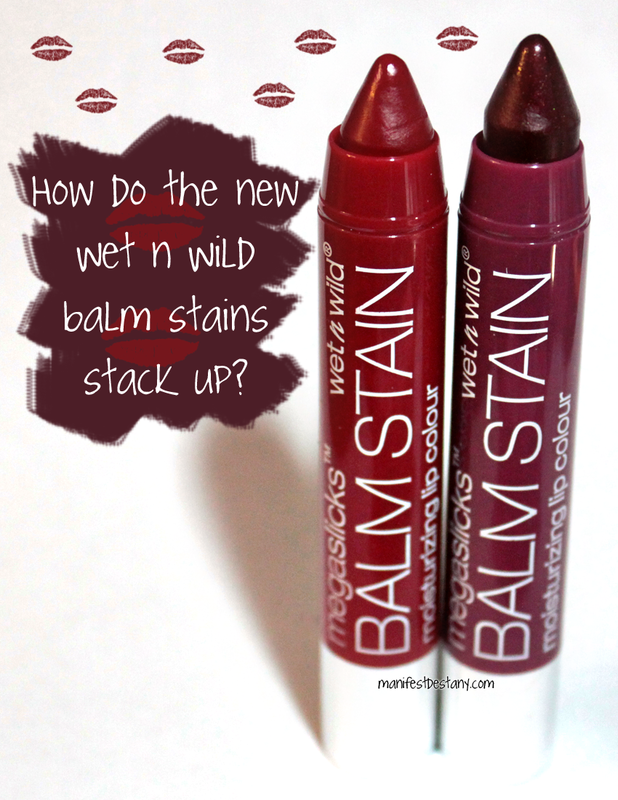 Today's post is on some new Balm Stains - the Megalast line from Wet n Wild! They are truly amazing. I love wearing them. Let's start with the first night I tested Red-Dy or Not, a cool red shade. I put the lippie on about 5:30 p.m. I'd already had dinner by the time I bought the balm stain, but I can't say whether or not that helped with longevity or not. But I did have three drinks (no straw, I sipped from cups) and had a snack. When I went to bed, (after brushing my teeth) most of the "glossy" had worn off, but the underlying stain was still there. I got up the next morning, and when I looked in the mirror, my lips still had the stained look about them. I laughed to myself, had breakfast and brushed my teeth. Then I went about my day, not applying any other makeup. About noon, I sat down to lunch. I started eating, and when I wiped my mouth, some of the stain came off on the napkin! So from 5:30 p.m. until noon the next day, I STILL had the stain on my lips. This was the real deal for me! I found these for sale at Walgreen's. There was a special endcap display of new Wet n Wild makeup, and when I saw them I knew I had to grab them. They had a $1 off coupon on them, too! 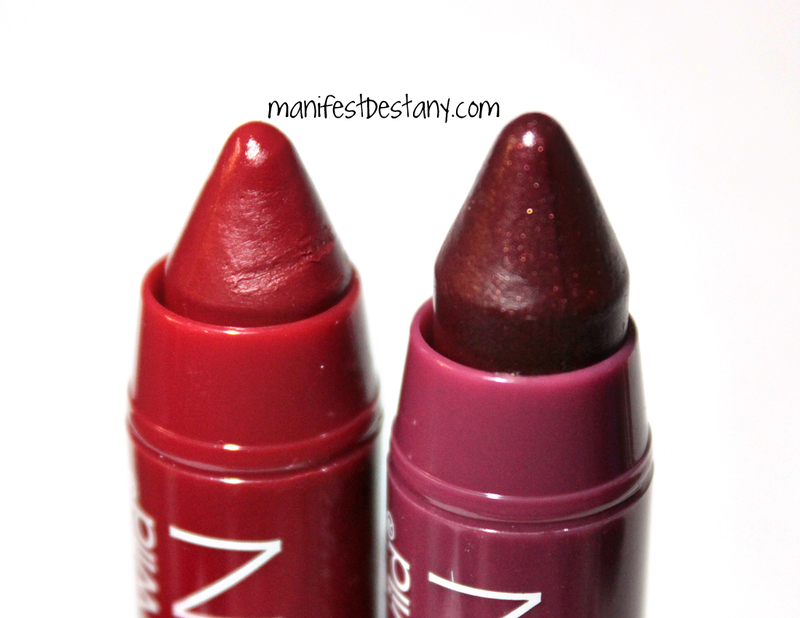 Here's swatches of Red-Dy or Not. It's a very pretty sort of leaning orange red. This one is definitely my favorite. Now on to Lady and the Vamp. This color did not have the color payoff that Red-Dy or Not gave me. It lasted maybe 7 hours on my lips, with two meals. So it could be a culmination of a lot of factors. It's still great weartime, even if it's not as long. Lady and the Vamp is a dusty purple. There is a slight minty feel to their smooth finish. Keep in mind these are buildable - meaning the first pass across the lips may not show as much color as you are expecting, but they build nicely. I believe the price is $2.99...but they vary from place to place! 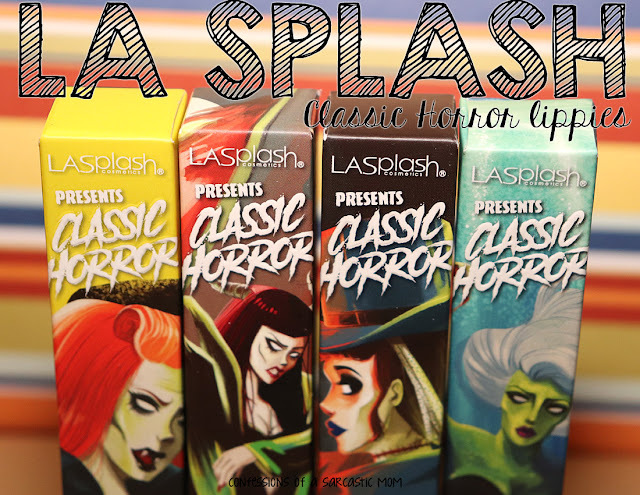 I've seen them at Walgreens and KMart so far, and they could be popping up everywhere else too!